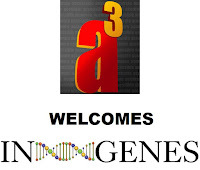 a3Genealogy, of Kansas City, Mo, is pleased to announce that, effective immediately, we have entered into a definitive partnership with In-Genes, a provider of genealogical DNA analysis and founder of the “DNA Heritage Finder” database. A significant benefit of this partnership will be in the area of non-paternal event and adoptee research. 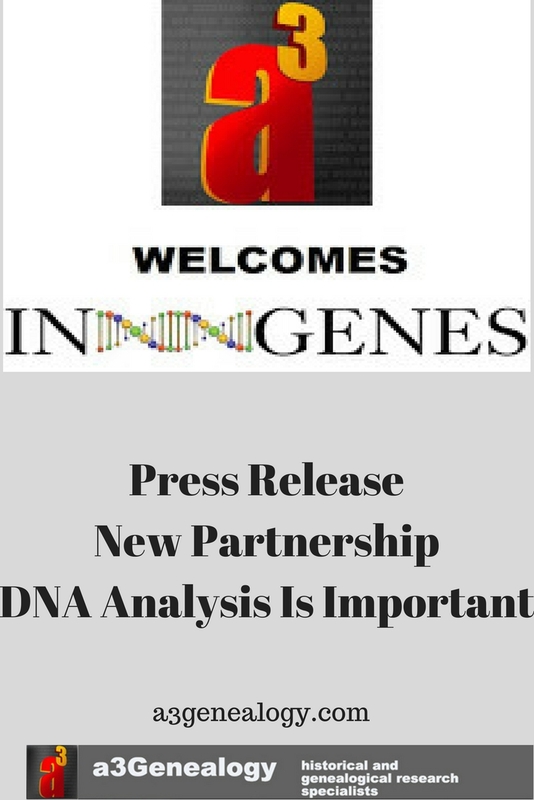 The partnership with In-Genes, based in Los Angeles, further aligns and strengthens a3Genealogy’s position in the genealogical research industry and will create a more comprehensive infrastructure. 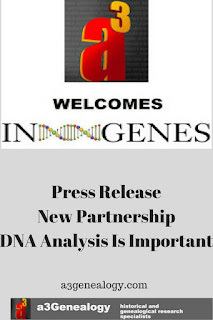 In-Genes’ proprietary database “DNA Heritage Finder” and a3Genealogy’s longevity in the industry providing extensive genealogical expertise will expedite the process of DNA analysis and reporting and will result in greater efficiencies and significantly increase capacity. We have worked together for media and individual clients for over a year and our business values and philosophies align: the client being the focus, delivering the best possible product with an emphasis on honesty, integrity, and scientific rigor, as well as connecting the past and present. 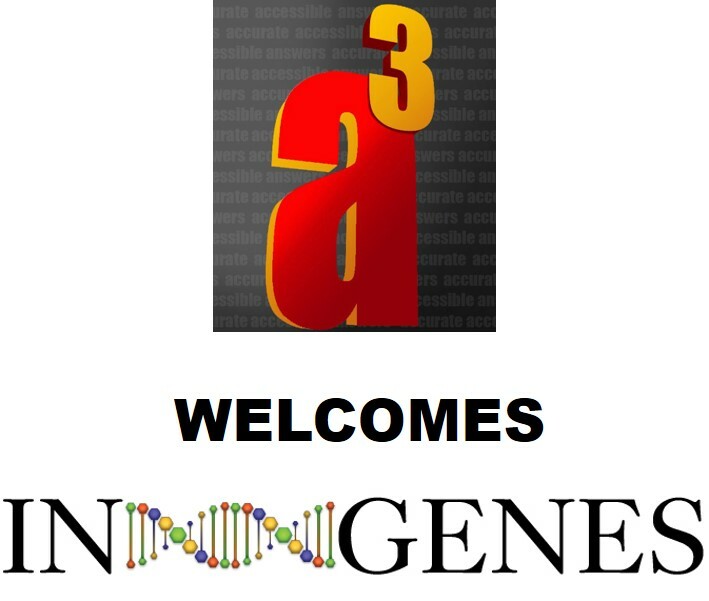 Please join us as we look forward to an exciting and prosperous future for a3Genealogy, our project partners, and our clients.